The floor is often the part of a home gym that doesn’t get much attention. At least not until everything else is sorted out anyway. And yet it’s super important! 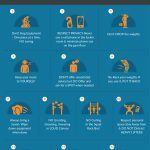 What you have on the floor of your home gym will decide whether your floor is being protected from heavy equipment, and whether your equipment and joints are being protected from your hard floor. The right gym flooring will provide a cushioned, durable, slip resistant surface for your workouts. 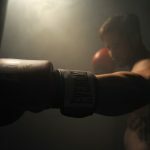 Read on to discover what your options are and how to decide on the best flooring for home gym. 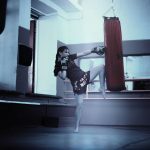 Why Use Special Home Gym Flooring? Should I Contact a Flooring Company? What Are My Options for DIY Home Gym Flooring? Review: This flooring is ideal for home-gyms on a budget. Just pop them together, make sure they’re locked, and set small machines on top. If you’re looking to save a few bucks, you can even purchase one for each corner of a machine like a treadmill, and only place them beneath the corners. But, if you want to guarantee they won’t slide around, it’s worth buying a complete set. Versatile usage with squares that separate and pop together as you please. High density EVA foam is non-toxic and durable. Soft texture provides great cushioning. Pieces will pull apart during high intensity workouts unless you tape them together underneath first. Best home gym flooring for small stations or low intensity equipment. Review: This flooring is perfect to place beneath a regular machine or piece of equipment. 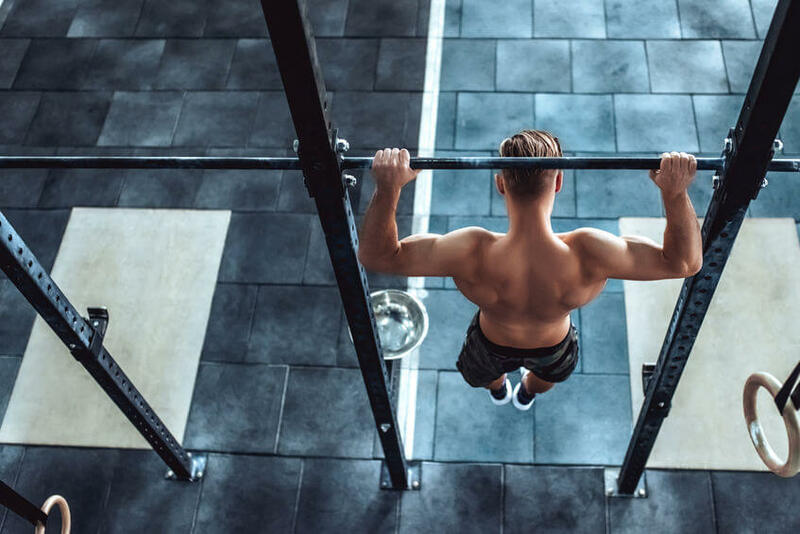 Most regular weight benches and bench presses will fit comfortably on the surface, and it’s durable enough to withstand years of high intensity workouts without needing to be replaced. Made from recycled rubber so you can feel good about your environmental footprint. 4’ x 6’ are good dimensions for a variety of gym equipment. Textured surface is non-slip for safety. Very dense so minimal cushioning for jumping or protection from falls. This is commercial gym quality flooring that is likely to last longer than any of the other equipment in your home gym. 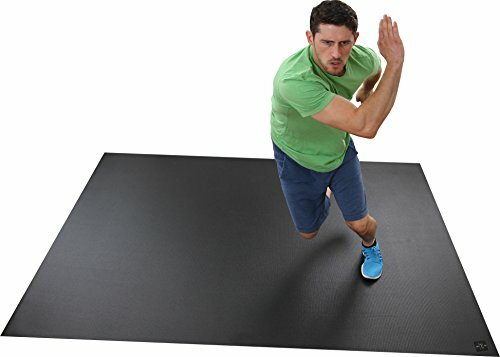 The best rubber flooring for home gym. Review: If your machine has tons of attachments or requires a heavy rack to be stored, very close to it, you’ll have better luck with this larger mat. Alternatively, if you want a mat that will cope with high intensity cardio workouts and body weight exercises, this is a good option. 8’ x 6’ dimensions provide plenty of space for larger machines or cardio workouts. Not as grippy as a yoga mat but non-slip when wearing shoes. This is a versatile all-rounder mat that will cope with some machine work and cardio workouts. This is among the best flooring for workout rooms. Review: This is great for workout equipment or heavy racks that are irregular sizes. If a pre-sized rubber floor mat won’t work for you, get a few of these and measure them out. It’s incredibly durable and well worth the cost, as long as you’re cutting it with caution and get it right first time! This roll is easy to cut, allowing you to create custom fits. Very heavy, once it’s down you won’t want to be moving it around. This is seriously heavy duty rubber that you can cut to size and will cope with large machines. Review: This mat is sturdy enough to drop things on. 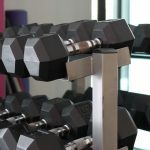 It absorbs sound as well as foam or rubber mats do but is less likely to be dented by the blunt edges of your weights. The PVC surface also reacts with your workout shoes, giving you a better grip and making you less likely to slide around while executing heavy lifts. Extremely durable and heavy duty. Ideal for protecting your floor from heavy equipment. Minimal cushioning so you’d want an extra softer mat on top for floor work. PVC can take a lot more abuse than other materials, and if you need something you can treat roughly, this is your go-to mat. 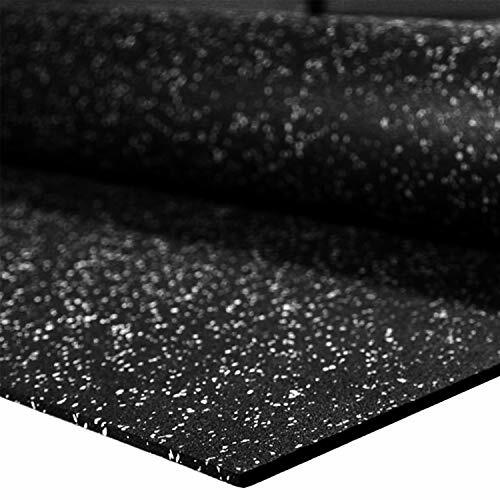 Review: This is the most economical option for covering your entire garage floor. The rolls come in varying sizes. All of them are 4 feet in width, and they go as long as 25 feet in length. You can either glue these to your bare flooring or lay them out flat. Good vibration and sound absorption. Heavy duty, tough and durable. UV and water resistant with good traction. Not spongy enough for comfortable floor work or dropping weights. 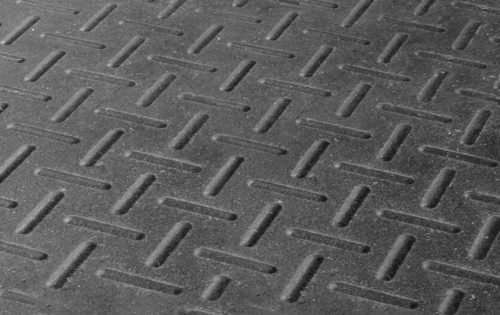 Similar to the flooring above, this flooring is very heavy duty and ideal for coping with heavy equipment. 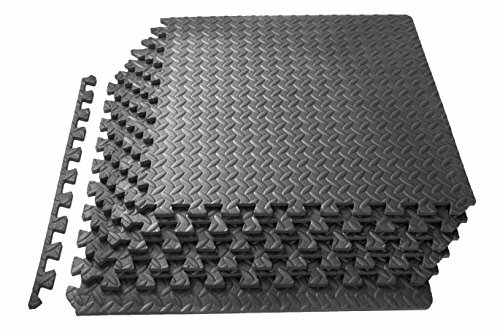 Review: If you don’t have any heavy gym equipment that you need to protect your floor from, an individual mat is the ideal budget compromise for providing some cushioning and grip for low intensity or body weight exercises in a small space. Provides good cushioning and a grippy surface. Pairs well with light weights, foam rollers and resistance bands. Not large enough for cardio based workouts. An individual mat is definitely worth considering for a minimalist option to your home gym flooring if you don’t have any large equipment. Review: This mat is customizable by choosing the number and arrangement of the EVA foam interlocking tiles. EVA foam is durable and shock absorbing while having a good amount of cushioning for floor workouts. Comes in 2 different thicknesses depending on the amount of cushioning you want. Water resistant surface is easy to clean. 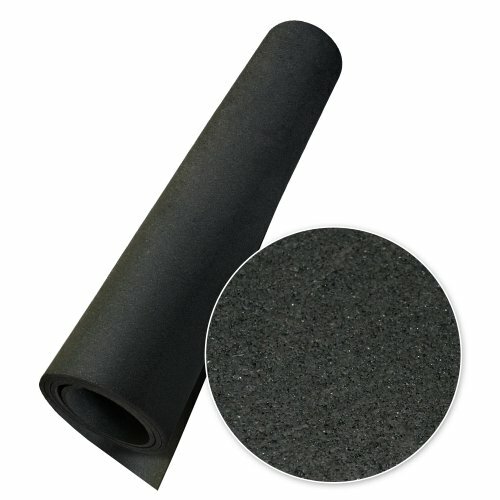 Durable, high density EVA foam provides shock absorbance while being comfortably spongy. Lightweight and easy to move around if you want to change the configuration. Pieces don’t stay connected in really high impact workouts. Ideal gym flooring if you’re looking for a balance of durability and cushioning. 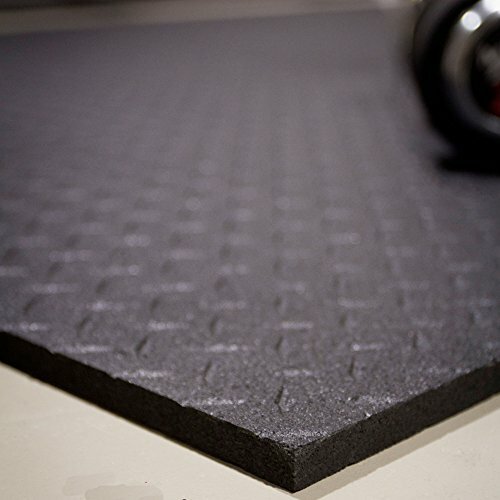 Review: If you’re on a budget and need some reliable flooring but only have one piece of heavy equipment in your home gym, this mat could fit the bill. Made of 100% Koroseal vinyl which is moisture resistant, slip resistant, scuff resistant and easy to clean. Perfect dimensions for once piece of large gym equipment like a rowing machine or treadmill. 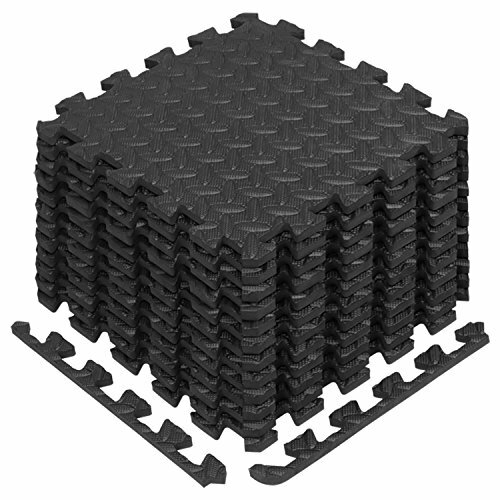 Skid resistant underside will grip whatever floor is underneath the mat. Not big enough to cover the whole floor for other exercises. An affordable option to provide an ideal mat for your large machine. Review: This will be your go-to mat if you want some padding underneath you. Ideal for floor workouts and martial arts, the configuration of panels is customizable and the thickness is ideal for high impact workouts. 2” thick for plenty of padding. Panels can be combined in different configurations for different shaped workout surfaces. A good alternative to a yoga mat if you want more padding for Pilates-style workouts. 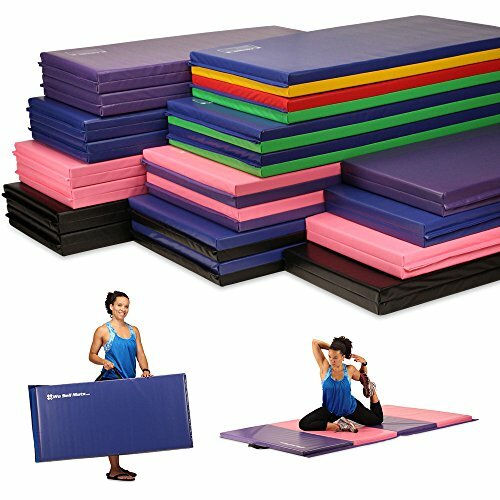 This is a durable, well cushioned set of exercise mats that is ideal for high impact or floor based workouts. Review: Designed to protect floors and joints, this all-purpose mat is perfect for a home gym, creating the perfect workout surface for a range of workouts. Large spacious 8’ x 4’ area. Slippery when wet, so you’ll need a towel on hand if you sweat a lot. Heavy duty and durable, this is one of the best exercise mats for home gym. Review: These 12” x 12” interlocking tiles are perfect for providing a safe workout space on carpet, protecting your carpet while keeping your equipment secure and absorbing impact. 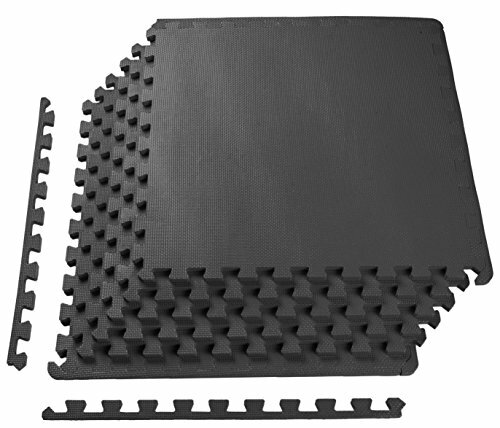 High density EVA foam absorbs shock and cushions. Depending on the area of your gym floor, your box set may or may not come with enough edge pieces. The best flooring to go over carpet inside your home. 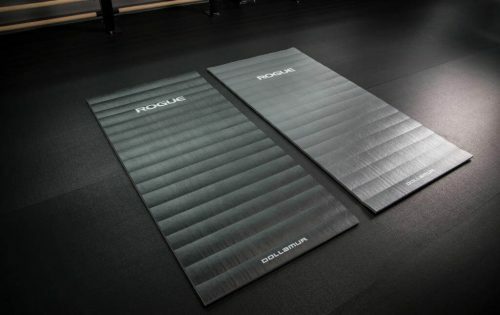 Review: If you’re looking for the most heavy duty flooring option for your home gym and one that you won’t need to replace, the Rogue Gym Mats are among the best out there. This is the best flooring for garage gym if you want something you’ll never have to replace. Will cope with whatever you throw at them and last a long time. Very large, covering a large surface area. Very heavy and awkward to move around. Only come as a 25 piece set which is probably more than most people will need, but you could split a set with a mate! If you’re looking for the best of the best in terms of durability and lifespan and don’t mind how much you spend, this is your new floor. 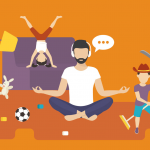 You’ve picked out your equipment and rearranged your garage to create an adequate workout space. You may have even painted the walls and installed equipment into your ceiling joists. Flooring for your home gym. 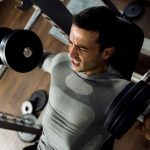 In order to properly create a functioning home gym, you need to take the floor into consideration. Most people don’t spend a lot of time maintaining their garage floors, and that’s okay if their floors aren’t getting much use. That changes when you add exercise equipment into the mix. Using exercise equipment in your garage can potentially wreck your floors. 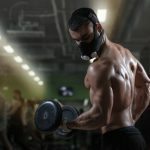 Weight benches, power racks, stands, cages, and even things like treadmills or elliptical machines are heavy pieces of equipment that are used with vigorous intensity. After a while, the legs on your heavy equipment may begin to chip away pieces of your floor, causing cracks that can spread all the way across your garage. Take weight lifting as an example. For deadlifts and power cleans, many people simply drop the weight when they’re done. Dropping a loaded barbell onto a hard, brittle floor will inevitably cause it to crack. The end result of a well-used home gym is a garage floor that’s completely destroyed, and you’ll need to replace it eventually. Replacing your flooring is expensive, and there’s no need to do that if your floor is properly protected from the beginning. Even if you don’t care about your garage floor, your equipment and your body do. That’s right, it works both ways. As well as protecting your floor from your gym activities, you’ll also want the floor to help protect your gear and joints. Non-slip surfaces are also important from a safety perspective. 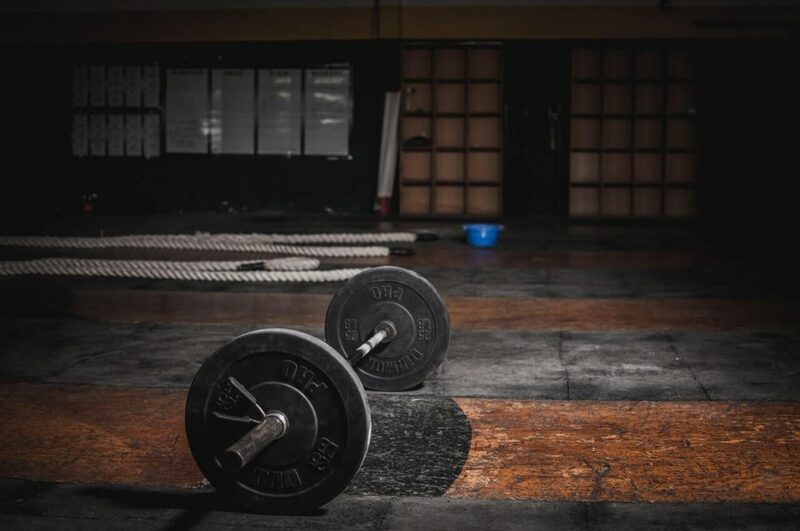 The best gym floors will have some traction and shock absorbing capacity. Big gyms obviously turn to professional flooring companies for their flooring needs. You’ll notice that their flooring is one solid piece, connected wall to wall. It’s all the same maximum durability rubber, and it’s designed to last virtually forever. Of course, this is the best option for gym flooring, but it’s also horrifyingly expensive. Commercial gyms can afford to do this because they’re a for-profit business. Even the smallest garage can cost thousands upon thousands of dollars for this kind of floor. 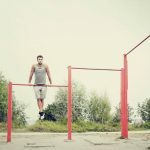 If you ever decide to move house or move your gym to a different area of your home, you’ll lose your entire investment. With temporary flooring solutions, you’ll be able to move them around as you see fit. You can take them with you wherever you go, and you don’t have to pay a ton of money for installation. There are plenty of options for DIY home gym flooring, and they’re all really easy to set up. 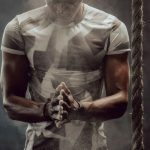 You may find that using a combination of flooring solutions will work best for your gym. It largely depends on how much space you have and the kind of equipment you’re working with. If you already have the desired layout in mind, measure out the square footage that each piece of equipment will occupy. Different equipment requires different intensities of floor padding, and it may be more economical to purchase a combination of gentle padding and heavy-duty padding, rather than using the heavy duty padding for everything. There are large, textured mats with excellent foot grip. 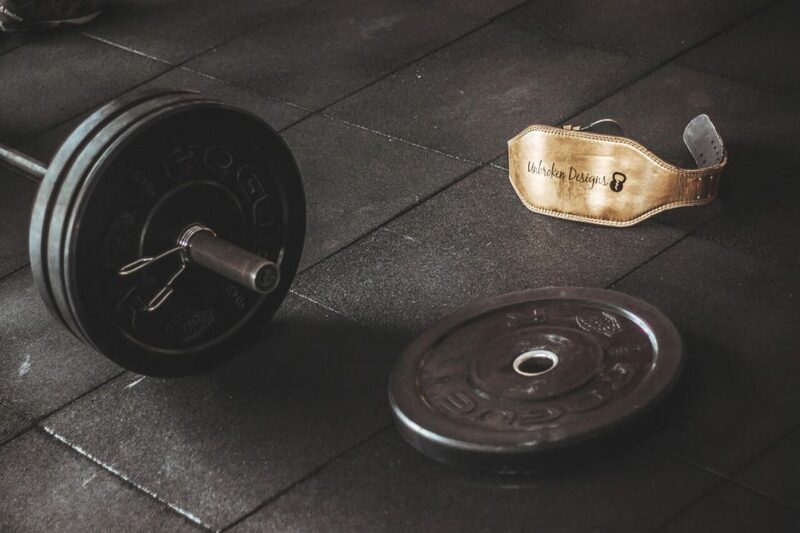 Not only do these mats make it easier for the user to maintain balance while performing heavy lifts with squats or power cleans, they’re also strong enough to absorb the impact from dropping the barbell at the end of the move. These are great for single-station workout activities. 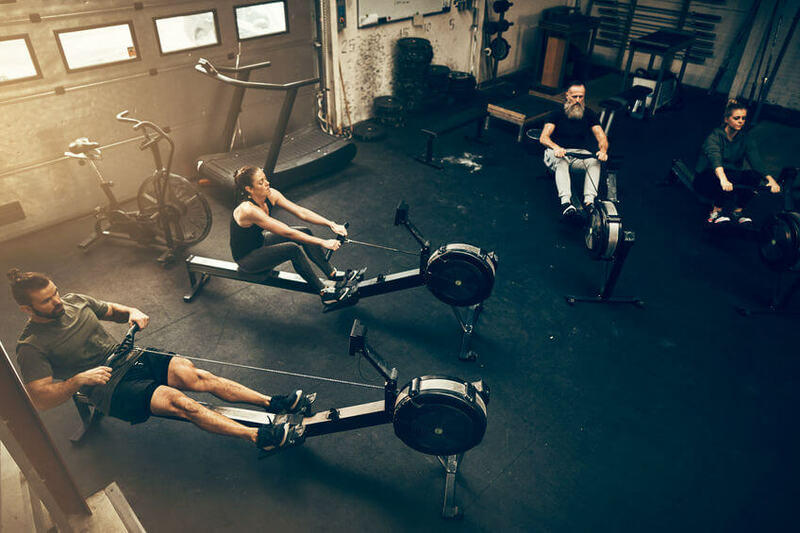 You’ll only need one mat, and you’ll be able to place it next to racks of equipment you intend to swap from during your workout. For lighter intensity exercise or smaller pieces of equipment, look into interlocking floor tile options. These are easy to assemble and easy to move. 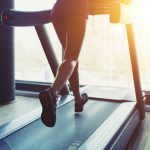 You’ll be able to customize the size you need to fit beneath your equipment, and these options are generally less expensive than very heavy duty mats that would actually be unnecessary for things like stationary bikes or treadmills. Some DIY gym flooring comes in long rolls. These rolls are great for multipurpose solutions. 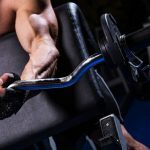 You’ll be able to cut the rolls in half to accommodate several pieces of equipment, like weight benches or bench presses. Rather than purchasing two separate mats, you can divide one long roll into two separate parts. If your machine is too big to fit into a custom-cut rectangle, there are medium intensity large mats. These aren’t strong enough to absorb the blows of large weights being dropped, but they work fantastically for machines that have a lot of custom attachments that occupy a lot of space. 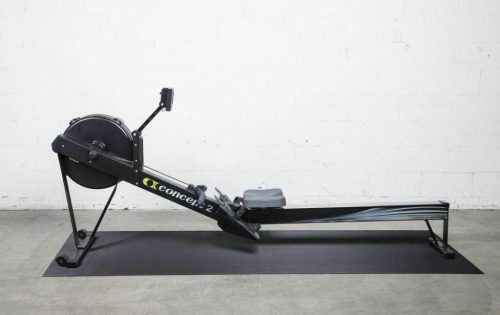 Think of rowing machines with additions, or benches with racks and preacher curl attachments. These come in varying sizes, so you’ll be able to find one large enough to accommodate even your largest piece of equipment. If you still want to cover your whole floor, consider using something like elephant bark rolls. These come in a variety of dimensions, so calculating the square footage of your garage will allow you to determine how many rolls you need, and of what size. You can roll them out side by side and cover almost the entirety of the area with these mats. Since they’re UV coated, they’ll last forever – even if you leave your garage door open to let some sun in. Remember that quality gym flooring is worth the investment. 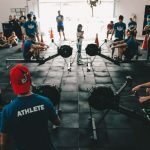 Get the best gym flooring for garage gym use and you won’t regret it. It’s worth a little investment to make the overall workout experience safer and more comfortable for you, your floor and your equipment. Feel free to comment below and share your gym flooring experiences, and don’t forget to subscribe for more essential garage gym know-how.